Canal-luxe was right. 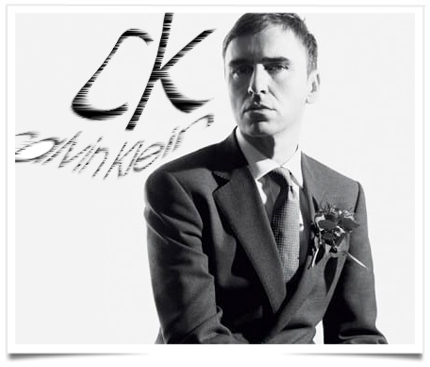 When Raf Simons was at Dior’s, the troubles at the brand raise questions over Simons’ future at Calvin Klein given that his contract is up for renewal in August. He currently has direct oversight of the underperforming 205W39NYC collection and jeans, as well as a raft of other categories, global marketing and communications, visual creative services and store design. That’s the word from chairman and chief executive officer Emanuel Chirico of PVH Corp., which has owned Calvin Klein since 2002, as he laid bare his “disappointment” in its third quarter performance during a call with investors Friday morning. He assured Wall Street that he’s taking swift action to correct the brand direction, which the Belgian designer skewed too fashion forward and too expensive for its core consumer since he took over the helm as chief creative officer in 2016. This entry was posted in BREAKING MODE, BREAKING NEWS and tagged SIMONS by admin. Bookmark the permalink.